When friends, family, and even acquaintances ask me for advice on buying a new car, more often than not they say they want to buy a crossover. “Roomy, good fuel efficiency, safe, affordable” are usually the qualifying adjectives. That almost always leads people to test drive the Honda CR-V. 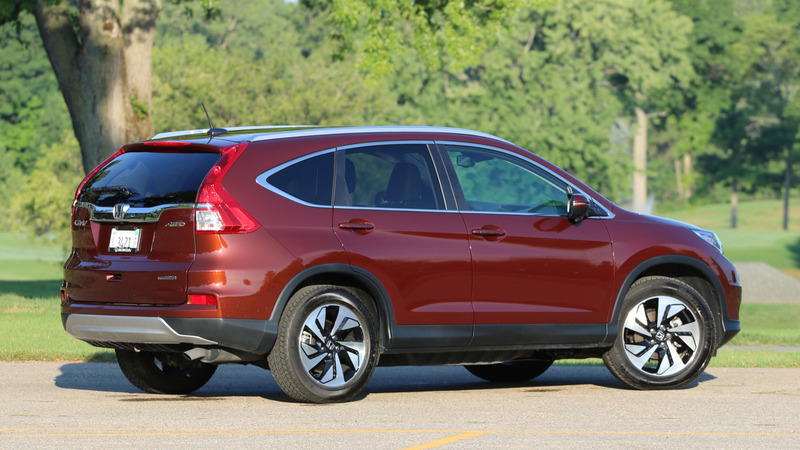 There are few everyday situations in which a Honda CR-V wouldn’t meet an owner’s needs. It’s quietly competent, delivering low-stress people-moving for a reasonable price. That’s the same reason we love the Civic and Accord, too – they provide a lot of capability while demanding little of their owners. 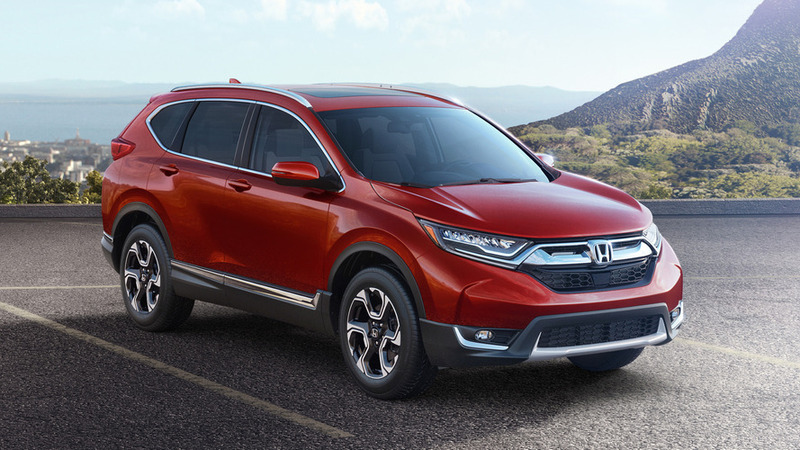 Buyers seem to agree: the CR-V, Civic, and Accord have accounted for 72 percent of all Honda sales in the U.S. so far this year, with the CR-V selling the most. Were I spending my own money on a compact crossover, I’d be tempted buy the more upbeat driving experience and plusher interior of the Mazda CX-5, but it’s hard to argue with the all-around goodness of the CR-V. Extraordinary roominess is one of the CR-V’s biggest selling points. Tall second-row passengers can stretch their legs out and sit up straight without issue. The cargo area’s ultra-low liftover height reduces strain when loading or removing bulky objects. You can haul an impressive amount of stuff, too, because the load space is wide, tall, and deep – there are more cubic feet behind the second row than in a Ford Escape, Chevy Equinox, or Mazda CX-5. Folding the rear seats, a cinch effected by pulling tabs atop the seats, affords a flat load floor with even more room. The CR-V makes life easy for drivers. A low dashboard and beltline afford excellent visibility. The oversized speedometer looks dorky but is easy to read at a glance (but where’s the digital speedometer available in other Hondas?). And while it may seem like a gimmick, I find the LaneWatch blind-spot camera a handy supplement when changing lanes in busy traffic. It also makes things easy on passengers. The cabin muffles most wind and road noise, even at freeway speeds, and the suspension dilutes most road imperfections before they reach occupants. Couple that with the CR-V’s aforementioned spaciousness, and this crossover would be a great budget pick for a long road trip. 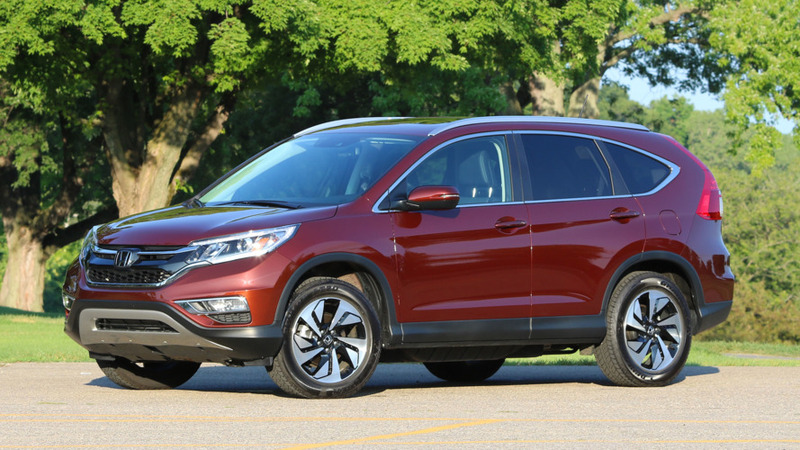 In a class not prized for driving vigor, the CR-V nonetheless satisfies. Its 2.4-liter engine is plenty strong – I don’t miss the V6 or turbo-four engines of some rivals – yet settles down quietly when cruising. The continuously variable transmission is likewise remarkable for how little it interferes with the driving experience. Only when accelerating hard, like when merging on the highway, do the revs hang too high for too long and kick up a racket. The CR-V’s infotainment system feels several years out of date. I had no problems using the touchscreen, whether playing music from my phone via Bluetooth, making calls, or pulling up directions on the navigation menu. Yet the lack of shortcut buttons for various functions means you always must push the Home button before, say, switching from navigation to the radio. There are no physical tuning buttons either, so you can’t easily switch radio stations if a Meghan Trainor song comes on while you’re dialing the phone, and the sliding touch-sensitive volume control is equally infuriating. There are, however, redundant steering wheel-mounted controls for tuning or volume. I also find Honda’s low-res navigation map brings to mind the look of early Sim City game graphics. Fortunately, an all-new CR-V is just around the corner. The foot-operated parking brake is located just above the dead pedal, perfectly positioned to prod into my ankle. That’s uncomfortable at any time and seems like it would be pretty traumatic in a crash. I noticed that same problem in the 2017 Ridgeline we recently tested. And by the way, it’s 2016 – maybe it’s time for the CR-V to switch to the electric parking brake available in Honda’s newest Civic. Smartphone addicts, take note: the Honda CR-V does not yet support Apple CarPlay or Android Auto, even though both interfaces are available in the 2016 Civic and 2017 Accord.